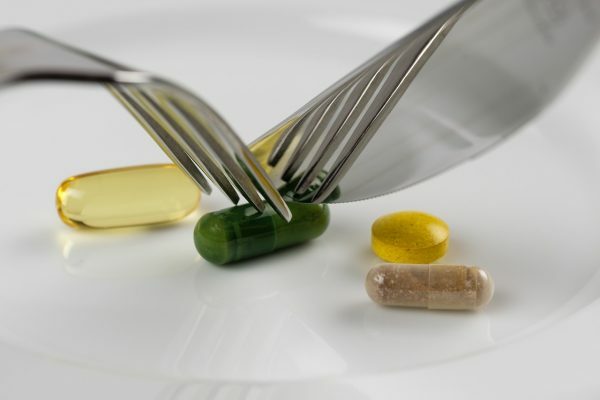 Should you take daily supplements? If you’ve asked yourself this question, you’re not alone. There’s a lot of debate over whether or not taking vitamins is an essential habit, although science leans toward the benefits of vitamins. A good vitamin will be your best friend. They deliver a variety of essential vitamins and supplements that help you stay at the top of your game at all times. In fact, here are five supplements that you should take every single day. There are many benefits to taking a daily multivitamin, including immune support, potential weight loss, reduced effects of aging, improved memory, and reduced risk of long-term illnesses. It’s also the best way to make up the difference when you don’t get adequate nutrition in your daily diet. Many people fail to get their recommended dosage of vitamins and minerals in what they eat. Their meals are bland and starchy, containing abundant carbs but lacking nutrients that make you feel healthy and vibrant. A quality multivitamin can fill the gap created by improper nutrition. Vitamin D performs many essential in your body. It’s connected to heart health, bone strength, and cancer prevention. It’s supposed to boost your immune system and help ward off depression. It’s a unique vitamin because your body can make its own vitamin D. When your skin is exposed to sunlight, it causes a chemical reaction that converts vitamin D to a special hormone, which is good for your mental and physical health. Unfortunately, people often don’t receive enough sunlight thanks to their indoor lifestyles. And in the winter, it’s also a challenge to get enough sun exposure. Vitamin D in supplement form is the best way to get this essential nutrient. It’s most effective if it’s taken with calcium. The thought of swallowing fish oil might seem unappetizing, but it’s not so bad in capsule form, and it comes with a host of health benefits. Fish oil with omega 3 fatty acids, which the body needs for optimum health. It’s been linked with supporting brain function, improving muscle growth, reducing inflammation, and promoting healthy hair, skin, and nails. If you still can’t stomach the thought of downing fish oil each day, try to incorporate more fish into your diet. You’ll absorb the nutrients better that way, it’s a healthy addition to your diet, and it’s more appetizing too. It might surprise you to learn that a healthy gut is actually teeming with bacteria, known as probiotics. It’s often called “good bacteria” because it regulates your digestive system, flushes toxins from your body, and helps to prevent and reverse diseases. Taking a daily dose of probiotics, often found in dairy, soy, or yeast along with supplements, can improve your immune system, reduce your risk for depression and anxiety, prevent digestive problems, and prevent or reverse some diseases. Your multivitamins will undoubtedly contain vitamin C, but it never hurts to get an extra dose. Vitamin C is an essential nutrient for immune support. With cold and flu season coming up, there’s never been a more important time to take it. You can take vitamin C in tablet form, but many people prefer to drink it. You can purchase supplement powder that’s mixed into water, or, better yet, drink orange juice. It’s a natural source of vitamin C that you can absorb better. For a bonus, with your vitamin C. It’s one of the best minerals for combating illness and boosting your immune system, particularly when taken alongside vitamin C.
Your daily dose of essential supplements will keep you healthy, both mentally and physically. Supplements are an excellent affordable solution to many of today’s health problems.